The power rails on these breadboards are split, so that the upper and lower halves are separate. You can use a wire jumper and make them whole again, or you can leave them separate if you need different voltages. 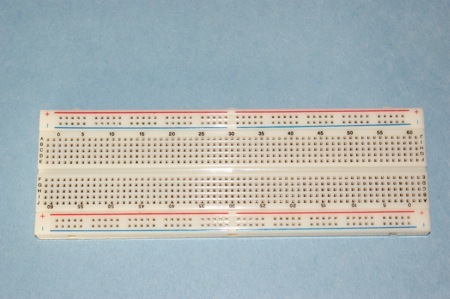 Solderless Breadboard 2.13" X 6.5"